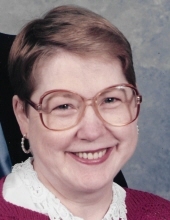 Donna Mae Maher, age 74, of Pittsburgh, formerly of Ligonier, PA passed away peacefully on November 3, 2018. She was preceded in death by her parents, Harry Hugh McMaster and Bertha Elizabeth Queer. Visitation will be held on Tuesday, November 6, 2018, 2:00 pm - 4:00 pm & Tuesday, November 6, 2018, 6:00 pm - 8:00 pm at the JEFFERSON MEMORIAL FUNERAL HOME, INC., 301 Curry Hollow Rd., Pleasant Hills, 15236. A funeral service will be held Wednesday, November 7, 2018, 12:00 pm, at Jefferson Memorial Funeral Home Chapel, 301 Curry Hollow Road, Pittsburgh, 15236. Condolences may be left at www.jeffersonmemorial.biz. To send flowers or a remembrance gift to the family of Donna Mae Maher, please visit our Tribute Store. "Email Address" would like to share the life celebration of Donna Mae Maher. Click on the "link" to go to share a favorite memory or leave a condolence message for the family.